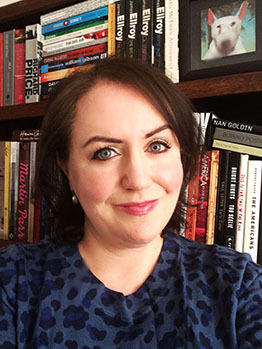 I joined the School of English at Trinity as an Assistant Professor in 19th-Century Literature in 2014, having previously taught at Queen’s University Belfast and having held an IRC Post-Doctoral research fellowship at Trinity in 2012-2013. My major research interest lies in the field of late-nineteenth century popular fiction, particularly crime and detective fiction. I have published widely on Victorian crime fiction in journals such as Victorian Periodicals Review, Victorian Literature and Culture, and CLUES: A Journal of Detection. My first monograph Late-Victorian Crime Fiction in the Shadows of Sherlock (Palgrave Macmillan: 2014) was the winner of the HRF Keating Award for best non-fiction crime book 2013-15. I am currently working on my second monograph, British Detective Fiction 1890-1900: The Rivals of Sherlock Holmes, which will be published by Palgrave in 2018/19. I welcome enquiries about doctoral research on the following topics: Victorian periodical and newspaper culture, fin de siècle literature, popular genres, professional authorship, and crime fiction. I would especially warmly welcome proposals for projects dealing with late Victorian popular fiction, particularly crime or detective fiction. Please email with an initial enquiry. Late-Victorian Crime Fiction in the Shadows of Sherlock. (Palgrave Macmillan, 2014) [Paperback June 2016]. ISBN: 9780230390539. Winner of the HRF Keating Award. “Sherlock Holmes, Victorian celebrity.” Critical Quarterly (2018). Forthcoming. "Imperial Rogues: Reverse Colonization Fears in Pearson's Magazine 1897, Guy Boothby's A Prince of Swindlers, and late-Victorian detective fiction," Victorian Literature and Culture 41.3 (Fall 2013) pp. 527-545. "Horace Dorrington, criminal detective: investigating the re-emergence of the rogue in Arthur Morrison's The Dorrington Deed-Box" (1897) Clues: A Journal of Detection 28.2 (Autumn 2010) pp. 7-18. “Charlotte Riddell.” Bernice M Murphy and Elizabeth McCarthy, eds. Lost Souls. McFarland, 2016. “Professionalism and the Cultural Politics of Work in the Sherlock Holmes stories.” Kate MacDonald, ed. The Masculine Middlebrow 1880-1940. Basingstoke: Palgrave Macmillan, 2011. 73-90. Clare Clarke, An Image of Africa: Racism in Joseph Conrad’s Heart of Darkness. Routledge (The Macat Library), 2017.